It's time to start planning the design for your invitations and you find yourself really want something simple but yet something with a wow factor! If the cost of a custom invitation with all the bells and whistles isn't agreeing with the budget, don't worry, flat panel style invitations are not dead you just have to find ways to dress them up! 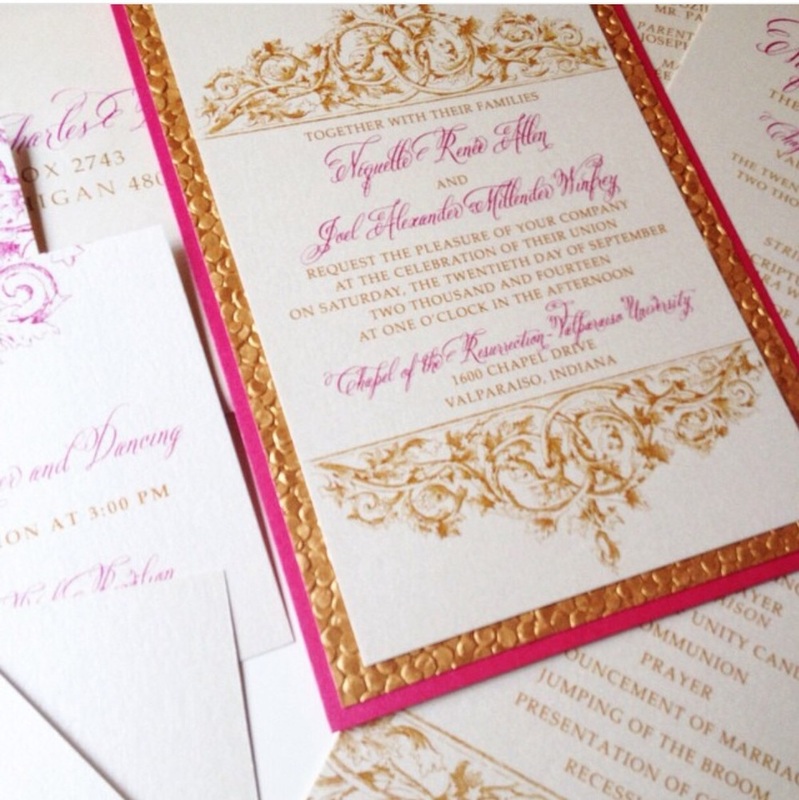 You can be fashionable and layer your invitations just as you would with your clothing. We've finally reached fall, which means it's fashion season and time to play with all of the classics pieces such as a cute cardigan sweater, the latest plaid button up and who can forget scarves all play off a basic tee. We're going to show you how the art of layering clothing can be used to layer your flat panel style invitations. When styling your outfit you start with the main piece and build from there by adding accessories. With Invitations that same technique can be used. Decide what kind of invitation, a flat panel or double-sided panel, etc and start adding your layers. Ribbons, crystals, calligraphy font or multiple layered paper choices. It's like bringing your fashion to paper! Be sure to check out the customization section of the website for different ways you can interchange our invitation collection and truly make it your own. Have fun and happy layering!